The Major League Baseball postseason is officially start on 30 September at Kaufman Stadium, Kansdas city, Miouri. The Royals pulled out a stunning 9-8, 12-inning victory over the Oakland A's. 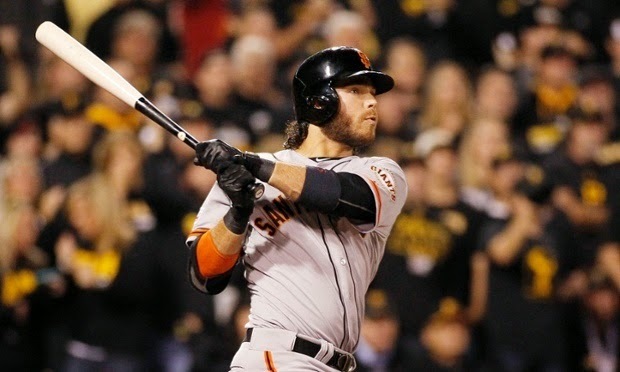 San Francisco Giants’ Brandon Crawford hits a grand slam in the 4th inning over the Pittsburgh Pirates in the National League Wild Card Game.